The Economic Development Program provides information and referral services to the state-recognized tribes and organizations, American Indian citizens and organizations interested in economic development enterprises and business start-up or expansion. With the recent economic recession, we witnessed company closures, major state budget cuts to social programs and for the first time in history, cuts to education. As a result universities and community colleges increased already high tuition rates and fees, enlarged class sizes and eliminated programs/majors previously offered. American Indian students already struggling with rising costs and diminishing financial aid have been forced to abandon their dreams of a college education. They simply cannot afford to pay the costs. Education has long been a predictor of economic prosperity yet it is becoming increasingly inaccessible for American Indian students as they fall farther behind and are economically disadvantaged. Seeing this need, we created the Supporting Undergraduate Native Students (SUNS) Program. This program is funded by a small grant received from the NCDHHS/Office of Economic Opportunity, Community Services Block Grant. WHAT IS THE SUPPORTING UNDERGRADUATE NATIVE STUDENTS (SUNS) PROGRAM? 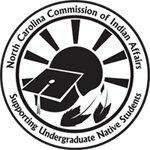 The Supporting Undergraduate Native Students (SUNS) Program is a college educational access and retention program sponsored by the NC Commission of Indian Affairs, Economic Development Program. The purpose of the SUNS program is to identify qualified American Indian students enrolled full-time in an accredited North Carolina community college or university and assist them in the pursuit of their educational goals. Students must meet 100% federal poverty income guidelines to be eligible to participate in the SUNS Program. The SUNS Program is designed to provide financial assistance to income eligible American Indian students during the fall and spring semesters only. We assist approximately 50 students each year in pursuit of their educational goals. We have limited funds available to assist eligible SUNS Program participants with a one-time financial assistance payment for unexpected expenses such as emergency childcare, car repair, or other needed services, so they may remain enrolled in a college or university. The SUNS Program sponsors two Academic Success Workshops annually. These required one-day workshops provide SUNS Program participants with an opportunity to learn about a variety of topics from special guest speakers. Students have the opportunity to network with other native students from across the state in a casual business atmosphere while learning the skills necessary to be successful. For additional information about the program and eligibility, please contact Program Director Kimberly Hammonds at 919-807-4440 or Kimberly.Hammonds@doa.nc.gov. The SUNS Program is contingent upon availability of program funds. Benefit amounts will vary depending on the number of students eligible and the amount of funding received.